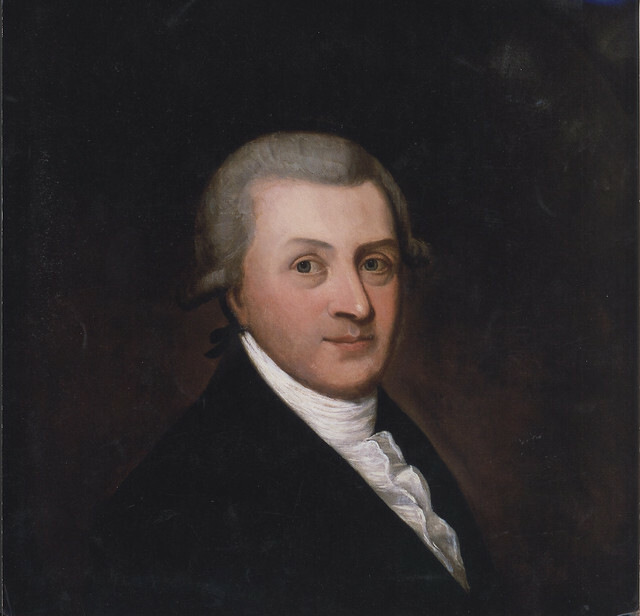 Today might be, though it probably isn’t, the birthday of Arthur Guinness (March 12, 1724-January 23, 1803). But this is as good a day as any, and in some ways better than many others have suggested. I’ve been collecting holidays, dates, birthdays, etc. since the late 1970s. I bought a cocktail paperback book and in the back, one of the appendices had four reasons to drink for every day of the year. Intrigued, I bought a thin diary and started writing them down as I came across new ones. When I outgrew that one, I bought a bigger one and hand-copied all of them from one to the other. Thank goodness computers came along so I didn’t have to keep that up. To save space, everything was color-coded and I never noted the original source, primarily because in those early days it was just something goofy I did for myself and I didn’t envision any practical application for such a list. Silly rabbit. Fast forward thirty years and the first website I set up, in 1998, was The Daily Globe, which was to house my collection of dates, among other things. It was then it became apparent that having the original sources would have been useful, but the damage was done. At some point I stumbled on the birthdate of Arthur Guinness, given as a day in September. Several years ago, after the Bulletin started, I ran my daily list as a matter of course on the date I had for Arthur Guinness’ birthdate, and got called out by the Beer Nut for the source of the date. Of course, I had not been keeping them but have always taken the position that it’s better to celebrate the person’s life even if you don’t have the exact right date than ignore them entirely. Eventually, I got around to trying to find that earlier source, and in the process opened a can of worms. That September date is more than likely wrong, of course, and was simply made up in 1991 by the Guinness company “apparently to end speculation about his birthdate,” as if that would do any good. That’s probably where I got the date, but since I didn’t keep my sources, who knows? In 2009, Guinness decided to declare September 24 “Arthur’s Day” further muddying the waters. The first year was to mark the 250th anniversary of Guinness, but in subsequent years it became a music festival and opportunity to do a worldwide toast to promote the beer. They kept up that farce on the 3rd Thursday in September each year until 2013, but cancelled it in 2014. So clearly September is a dead end. 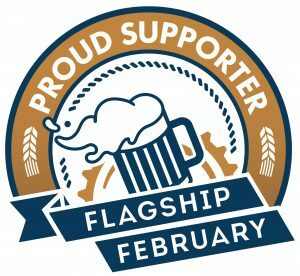 In 2012, my favorite British beer historian, Martyn Cornell, weighed in on Guinness myths and scandals, including the date of his birth. 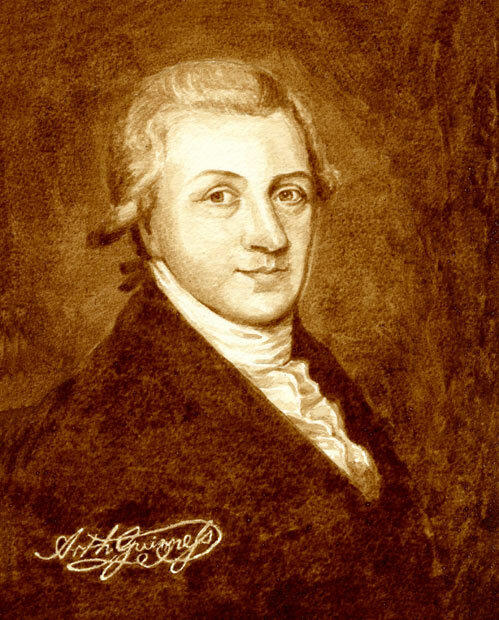 “Arthur Guinness was born in 1725 in Celbridge, County Kildare.” The Dictionary of Irish Biography claims he was born on March 12, 1725. 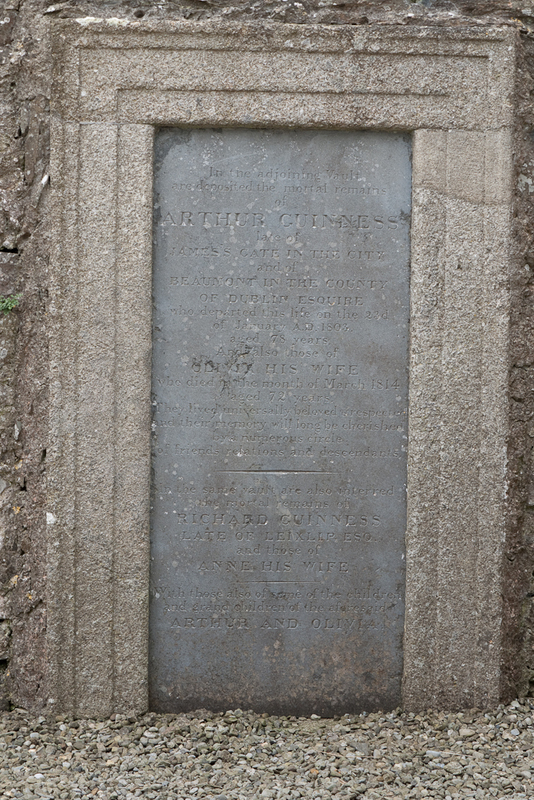 However, that does not match the statement on Arthur Guinness’s grave in Oughterard, Kildare that he died on January 23, 1803 “aged 78 years”, from which it can be inferred that his birthday must have been between January 24, 1724 and January 23, 1725. The most accurate statement, therefore is that his date of birth is unknown, but he was born 1724/5. So if March 12, 1725 can’t be correct, but it must be “between January 24, 1724 and January 23, 1725,” then maybe it was 1724. So for no better reason than it fits the span of dates, maybe The Dictionary of Irish Biography simply got the year wrong by one. Maybe not, but I like having a date to hang my hat on. So until I find something more compelling, and merely for the purposes of commemoration, I’ll toast Arthur Guinness on March 12. 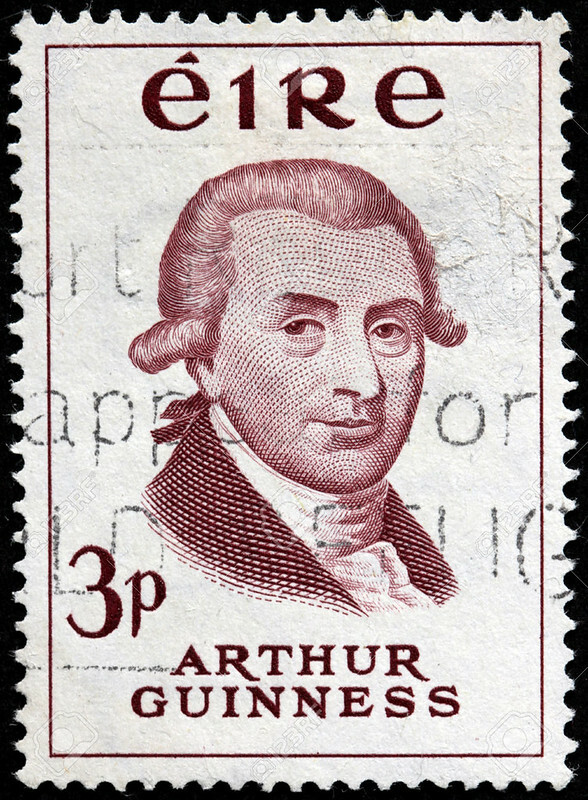 Arthur Guinness was born to a family of brewers on the estate of Arthur Price, the Protestant Church of Ireland archbishop of Cashel. 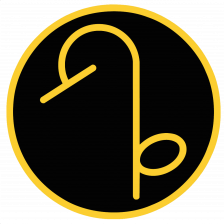 Arthur’s father Richard was Dr. Price’s brewer, and was known for his particularly fine porter beer. He taught Arthur the craft of brewing. Arthur must have been a particular favorite of Dr. Price, because on the archbishop’s death in 1752 he bequeathed to Arthur the sum of £100, the equivalent of four years wages. Over the following three years, he perfected his skills as the brewer for an inn owned by his stepmother. 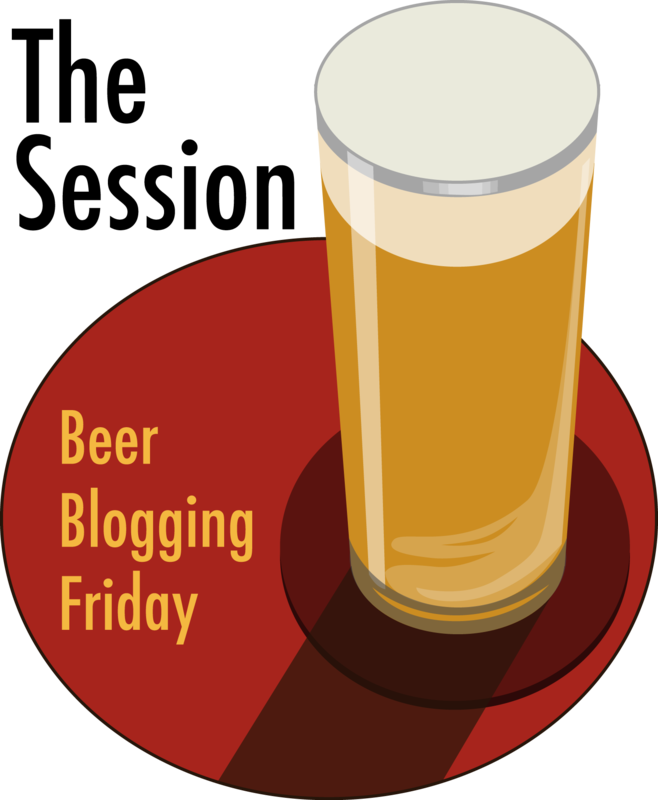 In 1755, he struck out his own, purchasing a small brewery in the village of Leixlip. He may have seen brewing beer as a service to the community: this was the era in which gin was devastating poor communities and beer provided a far healthier and less intoxicating alternative. In 1759, Arthur moved to Dublin. There he found an abandoned brewery at St. James’ Gate, for rent for £100 down and £45 per year. Arthur somehow managed to get the owner to agree to a lease for up to 9,000 years on these terms, and so Arthur opened his new brewery in Dublin. Arthur was a very dedicated member of the Church of Ireland. In Dublin, he attended a church in which John Wesley preached, and Wesley’s ideas about hard work, the goodness and responsibilities of wealth, and the importance of caring for the poor had a powerful impact on Arthur’s faith. As a result, Arthur became involved in a variety of social welfare organizations. He was on the board and became governor of Meath hospital and was dedicated to ensuring that it provided care for the poor. He also gave to a number of charities, promoted Gaelic arts to encourage pride in the Irish heritage, and joined the Friendly Brothers of St. Patrick, an organization dedicated to ending the practice of dueling. He was also a champion of the Sunday School movement in Ireland, which provided basic education to children. For Arthur, this was part of an interest in prison reform: he believed that education combined with Biblical teaching would keep people from falling into a life of crime. Even though a dedicated Protestant in a community that looked down at Roman Catholics, Guinness advocated for the rights of Catholics and treated them well at his brewery. This may have cost him business, but he believed it was the right thing to do. Meanwhile, Guinness continued to develop and improve as a brewer. In 1779, he was named official brewer of Dublin Castle. 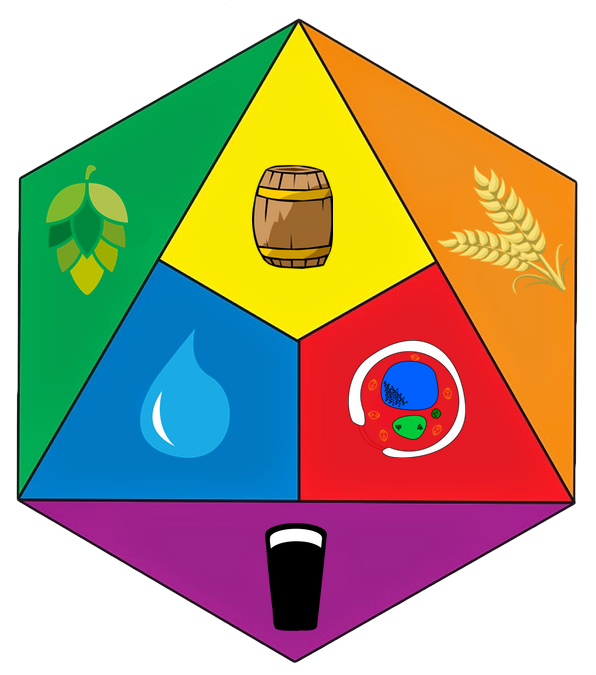 At this point, he was brewing ales as well as a variety of dark porters. 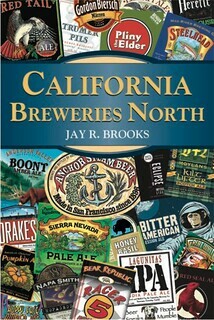 Gradually, though, he decided to specialize in porter; he finally gave up brewing ale in 1799. Porter was very popular in England, and when Arthur and his fellow Irish brewers finally figured out how to produce a good quality black porter (stout), specializing in this kind of beer made sense. Soon Guinness’s porter was in demand not only in Dublin but increasingly in England as well. Arthur died just a few years later, in 1803. But his story does not end there. Over the next century, Guinness grew to be one of the largest and most respected breweries in the world. That story is a tribute to Arthur’s hard work and insistence on excellence, qualities which he passed on to his children and heirs. But that is only part of the Guinness story. The other part is the amount of good Guinness has done for its employees and their families and for Dublin, all of which is also part of Arthur’s legacy. The Guinness story began in a small Irish village Celbridge, which was the home of Arthur Price, the Church of Ireland Archbishop of Cashel with a sufficient security. Arthur was one of those people who did not want to burden himself with a daily routine, and therefore he had hired Arthur Guinness (1724 or 1725 – January 23, 1803), a manager for all the cases. As time passed a very real friendship ensued between them to the point that Price baptized Arthur’s son Arthur Guinness II, born on March 12, 1768, who helped his father since childhood on the farm of the generous employer. In his spare time, Arthur Guinness brewed real ale. Dr. Price had a benefit of all necessary equipment at his basement for this. In 1752, Arthur Price died. Such a tragic event, however, marked the beginning of Guinness brewing company’s story. The thing is that Arthur Price left a legacy of 100 pounds to both of them: Arthur Guinness and his son (at the time it was quite a large sum of money). Guinness story began in a small Irish village Celbridge, which was the home of Arthur Price, the Church of Ireland Archbishop of Cashel with a sufficient security. 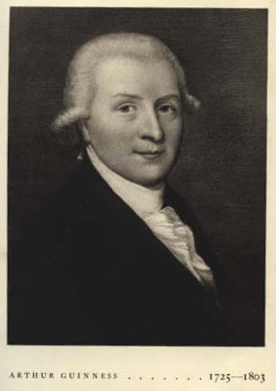 Arthur was one of those people who did not want to burden himself with a daily routine, and therefore he had hired Arthur Guinness (1724 or 1725 – January 23, 1803), a manager for all the cases. As time passed a very real friendship ensued between them to the point that Price baptized Arthur’s son Arthur Guinness II, born on March 12, 1768, who helped his father since childhood on the farm of the generous employer. However, all this time, Arthur continued to produce the same ale. Arthur Guinness started producing the dark beer only in 1799. The production of the dark beer with creamy foam originated in 1799 that further made the company one of the symbols of Ireland. Four years later after this momentous event, at age of 78, Arthur Guinness died. As a legacy to their children businessman left 25,000 pounds, which by today’s standards would amount to about 865,000 pounds.